The present communication deals with the singlet excited states of the model DNA duplex (dA)10.(dT)10. Calculations are performed in the frame of the exciton theory, combining quantum chemistry methods and molecular dynamics simulations. The monomer transition energies are simulated by Gaussian functions resembling the absorption bands of nucleosides in aqueous solutions. Most of the excited states are found to be delocalized over at least two bases and result from mixing of different monomer states. Their properties are only weakly affected by conformational changes of the double helix. On average, the highest oscillator strength is carried by the upper eigenstates. 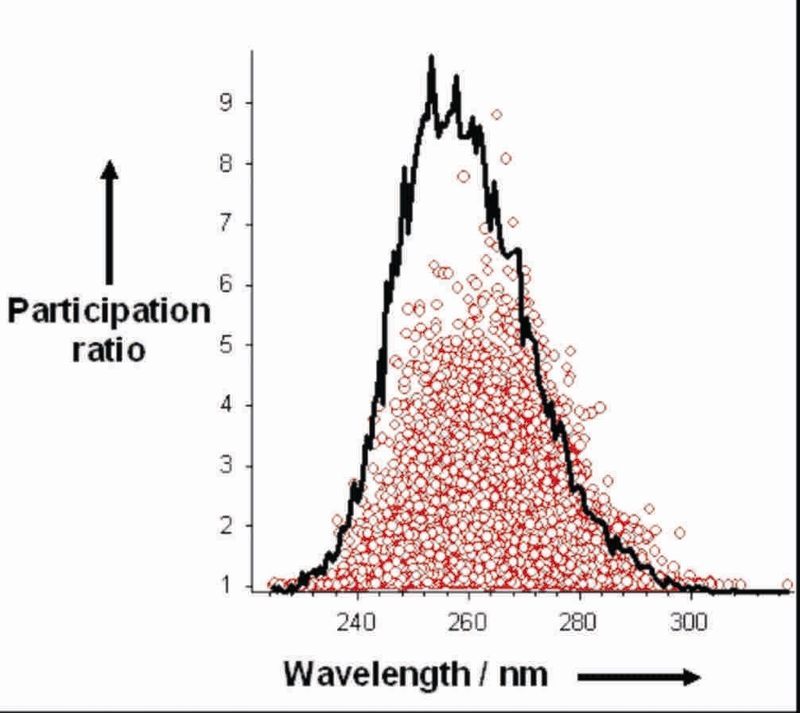 The duplex absorption spectra are shifted a few nanometers to higher energies with respect to the spectra of non-interacting monomers. The states with larger spatial extent are located close to the maximum of the absorption spectrum.